It’s Saturday and it's time to talk about a god. For those of you who haven’t been a part of my explorations into the religions of Golarion here’s how it works. Imagine if you will you're making a character for a group. Your only instruction is that you must be a worshiper of a specific god. You do not need to be a divine casting class although you can be, but the groups purpose is going to be working toward the goals of this specific divine being. And I'd like not just a race class combo, but a little bit about why the character would choose to dedicate him or herself to this god. Feel free to make up secret or not so secret orders within the church. Or even sects outside of the church you think might be interesting. With only this one piece of information that must be true let your imagination go wild with the rest. Let me take a minute to tell you about our lord and savior Groetus. Not really he’s just waiting for you all to die. But seriously most Groetus worshipers are batshit crazy. There was an NPC Groetus worshiper in the web enhancement for the Shattered Star AP. My players loved him he was amazing in his lunacy. So when most people think of Groetus they think of doom prophets. Shaggy haired men and women, dressed in rags, standing on the street corner with a bell and sandwich board yelling “The end is near.” And really that’s where I go to. There are those who don’t see the end as a bad thing but try and get people to live their lives in such a way that it means something because the end is near. There are the complete lunatics who not only claim the ends is near but seek to hasten its coming so that Groetus can wipe the slate clean of this mortal filth. And there are those who just warn of the end. Without trying to bring it forth and not caring what you’ve done before it comes. You can easily see the representations of the insane worshipers of the god of the end times. But what of those divine followers who fall in the one non-chaotic alignment of the god? What of the true neutral followers? What of the harbingers? The story goes that the harbingers live in a monastery hidden away from the world. Some claim it’s tucked away in one of the mountainous regions of Ustalav. Some say it exists somewhere in the wastes of Numeria. Everyone agrees that if you find it something has gone very wrong with your life. The harbingers are said to be Groetus’ chroniclers. He is not just the god of the end of days but the god of the end of all things. And the harbingers appear when something is to end. A kings reign, the end of an empire and even the death of a god. Some believe the answer to Aroden’s death lies with the harbingers. The least crazy followers of Groetus are said to wear plain grey robes. Their faces never seen under the darkness of the cowl. Trying to see their face is like staring into oblivion itself. They carry a book that is chained to their arm. The book opens as whatever event they have been sent to witness happens and writing appears in the book as it transpires. 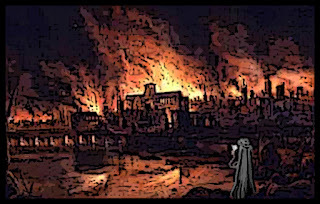 One story goes that during Starfall a harbinger came to witness the end of one of the many cities that fell that day. While watching, a boy actually saw the grey robed figure. The boy looked straight into the darkness of the robes and asked "But why? Why must all things end?" The chronicler shifted and a disembodied voice came "Because if they don't what is to come next will never happen. Even when Groetus sweeps away the dust of this universe, another will take its place. All endings are also beginnings." The boy was one of the few who survived that day and he vowed to never see his own end. He studied and became a powerful wizard, eventually garnering enough power to become a lich. The centuries passed and the Lich became a warlord leading his undead army when on the battlefield he saw a grey robed figure and he knew. 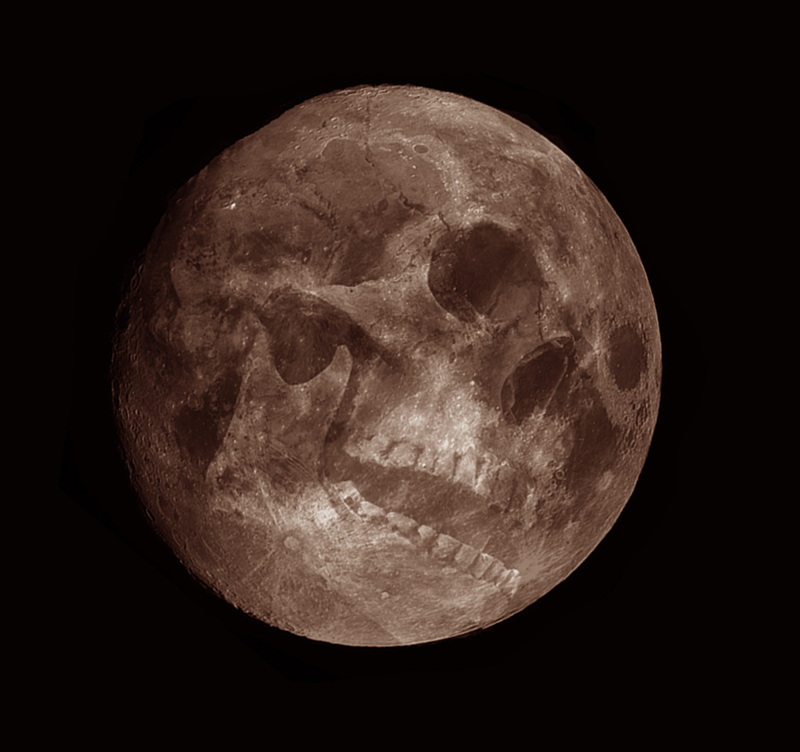 And that’s when he knew even in undeath he could not escape. So who is your Groetus worshiper? Is he a crazed lunatic? A dark Chronicler? Or something else? Very Beautiful , I was just seeking something to better role my pg cleric of groetus, since there are few information about this god. There are less fascinating gods that are better described , and that's a pity. Thank you. My goal is to do a little something for all of the minor gods and divine beings. Any one that is inspired by these musings means these write ups are well worth it. Please do, this is great, Groetusn is one of my favorite underated gods. many of the outer gods are among my favorites as well.